How do you build a bond with your child? You don't need big special events to spend with your child or teen. Ordinary everyday moments build your connection. Every day if you just spend time together, those will be moments to remember. 1. Each morning before rushing in to remind your son or daughter about their schedule or certain events for the day, just say, "Good Morning. How are you today?" Listen to your kid's reply and extend it a little. A happy little morning moment sets the day on the right track. 2. If your child forgets to do what he's asked, especially as quickly as you wish, play it down and ask what he's doing instead. Be curious about how he's using his time. Comment on it before pressing the issue of whatever you had asked him to do. 3. If your child takes a bus to school, offer to drive her if you can. Those minutes in the car can become quality time for unexpected conversation. 4. After school, offer a snack and add a bit of conversation with it. Instead of asking a general question like, "How was school today?" ask what went well in school today. It's a more specific question that shows you think your son or daughter does things well when you're not around. 5. Boost your child's confidence by noticing some small kindness he did for another or maybe for you. Let him know you appreciate his ability to think of others, a special gift. 6. Give a little knock on your child's door when she is alone in her room. Ask about the video she may be watching. Watch it with her so you know what interests her. 7. On no special occasion pick up something small your child would like as an unexpected surprise. It's just an extra way to show he is on your mind and you know he'll like this little present that requires nothing in particular to receive. Remember this isn't a reward or thank you, just a way to offer knowledge about something he cares for that you both know about. 8. Take a break from homework to take a ten minute walk in the neighborhood. It's an on the spot moment of conversation that may cue you in to what's on his mind. Then he'll be even more able to concentrate on his work when you return. 9. Show an interest in your child's or teen's friends. Ask if your child had a chance to visit with a specific friend in school or maybe suggest a phone call or a text. It shows you care about his social life without being intrusive. You may be surprised by how open your child becomes about his social life and he's happy to include you in knowing what's going on. 10. Most important, be a great listener. Don't offer instant solutions to your child's worries or problems. Just ask more about it and show you trust his judgment and have faith that he'll come up with a solution. Only give advice if asked. 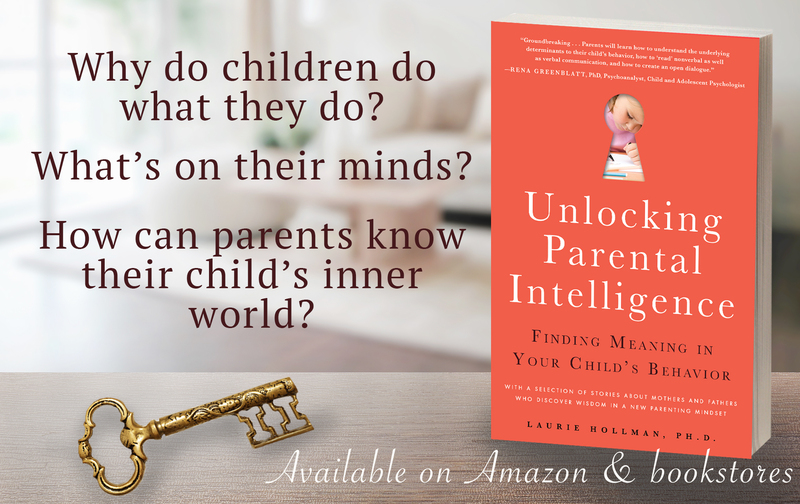 Laurie Hollman, Ph.D. is a psychoanalyst and author of Unlocking Parental Intelligence: Finding Meaning in Your Child's Behavior found on Amazon, Barnes and Noble, Familius and wherever books are sold.